Citing inscriptions and papyri can be confusing, since what G. H. R. Horsley and John A. L. Lee (1994) stated over twenty years ago is still true, namely, that, although some works have standard abbreviations, there is still a “great deal of inconsistency.” This post will clarify which abbreviations one should use and what format the citations should follow. We welcome readers to send supplements and corrections. Abbreviations for inscriptions should follow those given in G. H. R. Horsley and John A. L. Lee, “A Preliminary Checklist of Abbreviations of Greek Epigraphic Volumes,” Epigraphica 56 (1994): 129–69. Available online here. Abbreviations for papyri should follow those given in John F. Oates et al., eds, “Checklist of Editions of Greek, Latin, Demotic, and Coptic Papyri, Ostraca and Tablets,” http://tinyurl.com/gvv6dz8. SBLHS encourages the use of arabic numerals rather than roman even when a particular publication uses roman to number volumes, sections within a volume, and the like. Thus, authors should refer to IEph 1a (not Ia), P.Ryl 3 (not P.Ryl III), BGU 2 (not BGU II), and 18.13 for column 18, line 13, of a papyrus (not XVIII 13). SBLHS preference is to use a colon between a volume number and page number, as in 2:19 (= volume 2, page 19). However, SBLHS uses a period between a volume and a text number, as in the following examples: IEph 1a.7.2 (note the use of 2 rather than II for the second section of text 7), P.Ryl. 3.457, and BGU 2.447. As reflected in the examples above, we prefer to cite volume.text, not just text (e.g., IEph 1a.7 rather than IEph 7; IEph 7.1.3025 rather than IEph 3025). This practice makes it easier for readers to locate and consult the published source of the citation. Line numbers should be set off from the primary citation by a comma and either l. or ll. (one or two els set roman) followed by the line number(s), as in IEph 1a.7.2, l. 11 or IEph 1a.8, ll. 16–17. Inscriptiones Graecae (IG) should follow these same basic guidelines. Citing the volume number with no indication of edition is generally sufficient, as text numbers do not change from edition to edition. Thus, one would cite IG 2 (not IG II2 or IG 22). Do indicate parts/fascicles, with a period between each element of the citation. Thus IG 9.2.21 indicates volume 9.2, text 21. For a helpful guide to IG volumes, see the Packard Humanities Institute, Searchable Greek Inscriptions: A Scholarly Tool in Progress, http://tinyurl.com/j3nxxpl. When indicating the date of a papyrus, (1) indicate whether a year is BCE or CE; (2) give the day, month name, and year (e.g., 4 September 55 CE) or the month/day/ year per US conventions (9/4/55 CE), and (3) avoid the use of abbreviations for centuries (e.g., third century rather than III). We favor abbreviations and citations with greater specificity over general ones. For example, assuming IEph is properly included in the abbreviations list (Hermann Wankel et al., eds., Die Inschriften von Ephesos, 8 vols. [Bonn: Habelt, 1979–1984]), we prefer the citation IEph 1a over IK 11.1 (Inschriften griechischer Städte aus Kleinasien). · For AE volumes, see here (1888–1921), here (1893), here (1895–1901), and here (1912–1918). CIG Corpus Inscriptionum Graecarum. Edited by August Boeckh. 4 vols. Berlin, 1828–1877. CIL Corpus Inscriptionum Latinarum. Berlin, 1862–. DocsAug Documents Illustrating the Reigns of Augustus and Tiberius. Edited by V. Ehrenberg and A. H. M. Jones. Oxford: Clarendon, 1963. DocsGaius Documents Illustrating the Principates of Gaius, Claudius and Nero. Edited by E. M. Smallwood. Cambridge: Cambridge University Press, 1967. 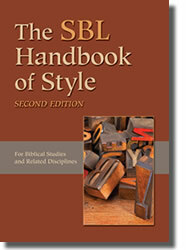 IEph Wankel, Hermann, et al., eds. Die Inschriften von Ephesos. 8 vols. Bonn: Habelt, 1979–1984. IG Inscriptiones Graecae. Editio Minor. Berlin: de Gruyter, 1924–. IGRR Inscriptiones graecae ad res romanas pertinentes. Edited by René Cagnat et al. 3 vols. Paris: Leroux, 1906–1927. · For IGRR, see here (vol. 1), here (vol. 3), and here (vol. 4). Volume 2 was never published. IK Inschriften griechischer Städte aus Kleinasien. Edited by Helmut Engelmann. Bonn: Habelt: 1972–. IKorinthKent Kent, John Harvey. The Inscriptions 1926–1950. Vol. 8.3 of Corinth: Results of Excavations. Cambridge, MA: Harvard University Press, 1966. IMT Barth, Matthias, and Josef Stauber. Inschriften Mysia und Troas. Munich: Leopold Wenger-Institut, 1993. LBW Le Bas, Philippe, and William Henry Waddington, eds. Inscriptions grecques et latines. Paris: Didot, 1870. LGPN A Lexicon of Greek Personal Names. Edited by P. M. Fraser and Elaine Matthews. 5 vols. Oxford: Clarendon, 1987–2010. MAMA Monumenta Asiae Minoris Antiqua. Edited by W. M. Calder et al. London: Manchester University Press; Longmans, Green, 1928–. NewDocs New Documents Illustrating Early Christianity. Edited by G. H. R. Horsley et al. North Ryde, NSW: The Ancient History Documentary Research Centre, Macquarie University, 1981–. P.Bas. Rabel, Ernst, and Wilhelm Spiegelberg, eds. Papyrusurkunden der Öffentlichen Bibliothek der Universität zu Basel. 2 vols. Berlin: Weidmann, 1917. P.Berl.Bork. Borkowski, Zbigniew, ed. Une description topographique des immeubles à Panopolis. Warsaw: Państwowe Wydawnictwo Naukowe, 1975. P.Mich. Michigan Papyri. Ann Arbor: University of Michigan Press, 1931–. P.Oslo Eitrem, Samson, and Leiv Amundsen, eds. Papyri Osloenses. 3 vols. Oslo: Dybwad, 1925–1936. P.Oxy. Grenfell, Bernard P., et al., eds. The Oxyrhynchus Papyri. London: Egypt Exploration Fund, 1898–. P.Ryl. Hunt, Arthur S., et al., eds. Catalogue of the Greek and Latin Papyri in the John Rylands Library, Manchester. 4 vols. Manchester: Manchester University Press, 1911–1952. PG Patrologia Graeca [= Patrologiae Cursus Completus: Series Graeca]. Edited by Jacques-Paul Migne. 161 vols. Paris: Migne, 1857–1886. RIC The Roman Imperial Coinage. Edited by Harold Mattingly. 10 vols. London: Spink, 1923–1994. RPC Roman Provincial Coinage. Edited by Andrew Burnett et al. London: British Museum Press; Paris: Bibliothèque Nationale, 1992–. SB Sammelbuch griechischer Urkunden aus Aegypten. Edited by Friedrich Preisigke et al. Wiesbaden: Harrassowitz, 1915–. SIG Sylloge inscriptionum graecarum. Edited by Wilhelm Dittenberger. 4 vols. 3rd ed. Leipzig: Hirzel, 1915–1924. Studia Pontica Anderson, J. G. C., Franz Cumont, and Henri Grégoire. Studia Pontica. 3 vols. Brussels: Lamertin, 1903–1910. Ascough, Richard A., Philip A. Harland, and John S. Kloppenborg. Associations in the Greco-Roman World: An Expanding Collection of Inscriptions, Papyri, and Other Sources in Translation. http://tinyurl.com/jj4mdom. Van nijh, Onno. Saxa Loquuntur: A Website on Greek and Latin Epigraphy. http://tinyurl.com/jnrs64g.